The Best and Brightest Books of 2018 list is now available on the Denver Public Library's website and contains recommendations for 219 books of interest to young readers. The list is broken into popular reading categories, including board books, picture books, graphic novels, fiction, nonfiction, poetry, biography and more. Both English and Spanish books were reviewed for the list. Have you heard the news? 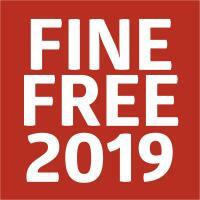 The Denver Public Library announced the elimination of fines for overdue materials beginning Jan. 1, 2019. The change is in an attempt to reduce barriers to the library’s most vulnerable customers. Learn about pending changes to Friends Foundation member benefits and how the change impacts library customers.